I have been wrestling a little bit over this last week about my choice of artist that I’m going to delve into today. And while I’ve said countless times in blog posts previously that popular need not be the same as influential, nor should it, in this artist’s case, popular is indeed not what this artist is (if you look at popularity in the mainstream pop market). But, having said that, upon listening and thoroughly delving deep into the music and mysteries that this artist speaks of, boy can I say that singer-songwriter and Christian artist Andrew Peterson, is by far one of the most influential artists that has ever graced Christian music in the modern era (2000 and onward). There, I said it. Andrew Peterson, though his name unrecognisable in terms of mainstream music, is indeed known quite well within the confines of CCM and music about the Christian faith. It is in this blog series that I have managed to hopefully give a portrayal of many different styles and musical genres, across various time periods. Influential artists within the Christian music ‘genre’ (if you can call Christian music a genre!) were always going to be present on my influential artists of all-time list; because frankly, I am a Christian and Christian music is and always will be a great form and source of encouragement and inspiration, whether or not the listener is of the faith, or not. And so, upon amassing who I was going to discuss about within my list of 100 names (and ever evolving names, I must add! ); it stood to reason that a non-negotiable artist to explore would be Andrew and his music. Since exploring Andrew’s music around 5 years ago, my musical tastes have been stretched, altered, challenged, and even matured because of such delving, and this past week, I’ve come to appreciate a style within the Christian industry that isn’t necessarily discussed or even musically envisaged. Call it being safe, sticking close to radio format songs; whatever the case, an artist like Andrew Peterson and the music style that he incorporates (folk rock, roots rock, country gospel) is rarely promoted even within the Christian industry, because, to put it bluntly, Andrew’s music is different. To say that I’m a very big avid fan of indie rock band Lifehouse is a very, very big overstatement. Let’s just say that for many, many of these artists I’ve placed here on my influential of all time list, I’ve barely listened to. And yes, apart from a song here and there from this guitar driven rock band (‘Hanging By A Moment’, ‘Broken’, ‘Everything’, ‘All In’, ‘Between the Raindrops’, to name a few), I haven’t really explored Lifehouse…until now of course. And we all know that this year-long project for me is as much as it is introducing to the world artists that I think have influenced and shaped music history, as it is very much an introduction for me into the realms of music that I may not have touched or even experienced, had it not have been for this project altogether. 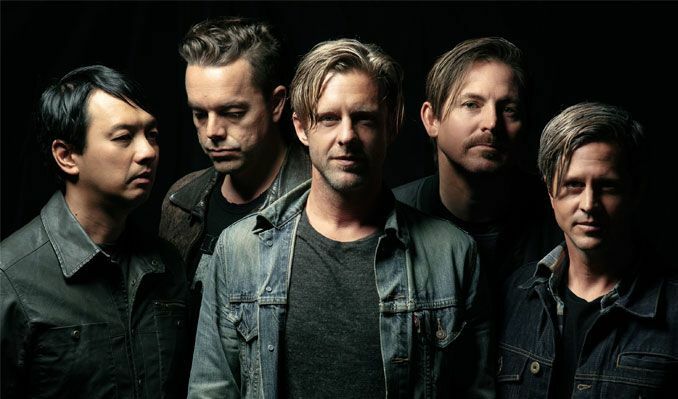 Nevertheless, Lifehouse as a band is very much like Switchfoot in a similar respect- they are indeed a band that deliver songs that probe at the human condition, asking questions that are deemed to be too personal, or even too taboo, to discuss in forums and public settings without music as the helm and delivery of transferring such ideas. Guy Sebastian, Jessica Maulboy, Rebecca St. James, Johnny Farnham, The Rogue Traders, Natalie Bassingthwaithe, Stan Walker, Human Nature, Shannon Noll, Kasey Chambers, Samantha Jade, Dami Im, Jimmy Barnes, Olivia Newton-John, Missy Higgins, David Campbell. What do all these music artists have in common? Anyone…no one? They’re all Australian! Yes that’s right, all these artists do not originate from America, like I’m sure many people could think right, because all good music comes out of America…am I right? No really, on a serious note, music doesn’t have to come out of America for it to be good, and much of these aforementioned artists in the beginning of this paragraph have all had moderate to very high success in both Australian radio and the Australian market, as with exposure and influence overseas as well. Rebecca St. James, originally from Australia, moved to America with her family in the 1990s and became a superstar from her early teens onward. The family, the Smallbones, also produced a duo band years later- Rebecca’s younger brothers Joel and Luke a.k.a. for KING & COUNTRY (more on both Rebecca and her brothers in two separate Momentous Mondays posts at a later date). Johnny Farnham, Human Nature, Kasey Chambers and Jimmy Barnes are all legends in their own right, and more recently, artists like Dami Im and Stan Walker have captured the international stage after winning singing competitions X Factor and Australian Idol respectively. But for me, there’s one artist that has been influential, not necessarily as popular, compared to any one of these artists I’ve mentioned, but nevertheless, has worked hard at their music, touching listeners and impacting an entire generation over the last decade or so. Delta Goodrem, basically a household name now because of her music career as well as a judge on the Australian singing competition show, The Voice; is, I reckon, one of Australian music’s most impacting and dare I say it, decade-defining, if you look at the years of the 2000s. If I were to speak honestly, I’d say that I was never really a fan of girl artists/female fronted bands that bore its prominence and upbringing during the 2000s. During that time in my life, I was heavily immersed into CCM, in particular, bands and artists like Carman and Delirious?. Not to say that there’s anything wrong with that, upon reflection, I thoroughly enjoy these two artists that I mentioned just then, and I would place them both, in a heartbeat, in my list of favourite artists/bands of all time, because of my early exposure to them and how they shaped my formative years as a teenager into who I am today as a person. Yet nevertheless, this is a post about influential artists, and though I firmly and unwaveringly believe that both Carman and Delirious? are influential in their own right throughout music history, I have found recently and discovered an artist that was indeed heavily impactful during the 2000s (and even now). Though I myself am late to the party in listening to them, I have been impressed with how they have managed stardom at such a very young age, and how they have carried themselves throughout the music industry process, from at the point of stardom till now. Drawing parallels, I reckon, to CCM/crossover artists like Plumb, and the early styles of Rachael Lampa and Stacie Orrico; Avril Lavigne began her fame journey at a tender young age of 17, and now 34, she has dominated the music market over the last 17 years or so. To say that she is an influential artist, not only to other new up and coming ones, but to listeners and those who are impacted by her music over the years, is very much an understatement.